Why am I allergic to everything? How do you get an allergy? An allergy is an overreaction to a generally harmless substance and the causative substance is called an allergen. Initially allergies are airborne in nature and untreated or repeated exposures cause year round symptoms due to hyper-sensitizing. Histamine is a potent chemical that causes…congestion, runny or itchy nose, watery itchy eyes, itchy roof of mouth, frequent sneezing, coughing, scratchy throat etc. Sometimes people just think they have a cold. 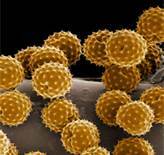 When an allergen such as pollen is absorbed into the body of a hyper-sensitive or allergic person, the immune system views it as an invader and the attack reaction begins. The immune system’s white blood cell’s antibodies produce IgE antibodies. These antibodies attach themselves to mast cells which are blood cells made up of several types of tissues and containing many granules rich in histamine and heparin (an anti coagulant). Although best known for their role in allergies and anaphylaxis, mast cells play an important protective role as well, being intimately involved in wound healing and defense against pathogens. Mast cells are present in most tissues characteristically surrounding blood vessels and nerves and are especially prominent near the boundaries between the outside world and the internal milieu such as skin, mucosa of the lungs and digestive tract as well as the mouth, conjunctiva and nose. Maintaining digestive health is key to the health of your body. Your intestines make up 70% of your immune system called GALT-Gut Associated Lymph Tissue. A healthy gut protects you from bacteria, viruses, parasites and absorbs vitamins and nutrients from your food. When it is not working properly, the result is constipation/diarrhea, allergies, stomach pain and bloating and acid reflux. This is why when people are traveling to foreign places, we suggest they take HCl and enzymes at their meals and we also recommend ADP (Biotics Research’s emulsified oregano oil) to keep them safe from the buggies. We have never had a single person who has followed this regime come back from a trip and say they got sick. So your immune system starts in the gut! AND usually… food allergies, sensitivities, colitis as well as airborne or contact (skin) eg. eczema, psoriasis and skin rashes are related to digestive/immune problems. It’s time to consider what are you eating? Is your diet high in histamine/inflammatory producing foods? The standard western diet is usually the culprit in histamine/inflammatory conditions. http://theconsciouslife.com/top-10-inflammatory-foods-to-avoid.htm/comment-page-3#comment-18149 This blog has some good info regarding these foods so check it out. The medical approach is symptom based and approaches the problem after the fact instead of being preventative. So they usually tell you to avoid the problem substance and if it’s pollen to stay indoors. That’s not always easy for everyone. Or…they will give you antihistamines, sprays, shots etc., which can be addictive and always have side effects (all drugs do). You can also build up a tolerance to them and need more or they don’t work at all. Apparently people that choose the allergy shot avenue rarely complete the therapy. Here’s the main reason why…on average there is one shot per week for 6 months. Then every 2 weeks for 4 years…yep…I wouldn’t last either! Also consider that 40% to 50% of asthma cases reported are actually caused by allergies. So what do we do? To begin, you should start the prevention 3 months before the allergy season is to begin. This year it was mild weather so it started early. So treatment should start in fall. If you have them now (April), don’t despair as we can help now but be aware that next year you should be on top of it early. 1. Check out the blog above and start avoiding as many mucous forming and inflammatory foods as you can. Unhealthy fats such as trans fats are one inflammatory food…they are too high in Omega 6 so avoid these oils regardless of whether you have allergies or not…corn (can be GMO too), safflower, sunflower, peanut, canola and soybean (another GMO possibility). Trans fats are not allowed in restaurants in BC now BUT they likely are using canola or soybean oils to be cost efficient. Also, refined carbohydrates like flour and sugar that are high on the glycemic index, exacerbate inflammatory conditions. These foods elevate insulin and glucose levels, which raise levels of pro-inflammatory messengers. Intolerance to wheat, gluten and dairy can initiate an inflammatory overflow that starts in the gut but can have far-reaching effects in other systems. 2. Support the Big 5-Stomach, Pancreas, Liver, Gall Bladder and Adrenals. Liver and GB allergies are often a result of an overloaded toxic state within the liver. As the primary organ responsible for processing everything we come in contact with, the liver filters out any toxic components put into the body. If the quantity of a substance entering the bloodstream is too great for the liver to process quickly, the immune system recognizes the molecules as being an allergen and produces antibodies against them. Through the filtering process, the liver plays a substantial role in reducing the effect an established or potential allergen will have on the body. Because histamine is contained in almost all body tissues, especially the lungs, nose, sinuses, skin, intestinal mucosa and certain blood cells (mast and basophils), it is able to cause a wide variety of symptoms, as well as pain and inflammation. Adrenal function plays an important role in histamine/allergic reactions. Cortisol, one of the primary hormones produced by the adrenal glands, is a strong anti-inflammatory. The amount of cortisol circulating in the blood is a key factor in controlling the level of inflammatory reactions in the body. Healthy adrenal function plays an important role in mediating the histamine release and inflammatory reactions that produce the symptoms experienced with allergies. If the adrenals are fatigued, it is more difficult to produce the additional amounts of cortisol necessary to counteract the inflammatory allergic reactions. So in other words, increase in adrenal fatigue increases allergies or allergies seem to get worse. The more histamine is released, the harder the adrenals have to work to produce enough cortisol and the more fatigued they may become. It is common that people with food and environmental allergies tend to experience adrenal fatigue as well. Reduced cortisol allows histamines to inflame the tissues more, leading to deepening adrenal fatigue as well as to bigger allergic reactions. Also, adrenal imbalance will not only prevent cortisol release but interfere with proper sugar handling and the balance between the liver, adrenals and pancreas. Food allergens can interfere with daily functioning and become a profound stress on your adrenals, so it is important to find and eliminate food sensitivities and allergies in order to both decrease your allergy load and promote adrenal health. Come in for a Zyto food scan and see if you are exhibiting any sensitivities to particular foods. To support the stomach, supplement at meals with HCl as most people have too little hydrochloric acid to break down their food. It is very rare to have too much acid BUT it may feel like you have too much if you have symptoms of acid reflux. Medically, drugs that reduce stomach acid are given which in the long run, makes things worse. We use Biotics Research Hydrozyme which has HCl and enzymes or HCl+ which is straight HCl. From Standard Process the product of choice is Zypan. Also, see our link for Dr. Whitaker’s digestive complex. For the pancreas, again, lack of digestive enzymes will allow an inflammatory process to remain in the gut and small intestines and allow a malabsorption environment to continue. So here are some other products to consider: Cytozyme AD or ADHS for the adrenals (Biotics), Histoplex AB (Biotics) for acute allergies (so those of you that are suffering now, this is a good option along with some HCl+.) Also, consider the link to Dr. Lark’s Energy Vitalizer to help boost adrenals. Another item we can get is a called Allergen 11 from BioActives. It is a homeopathic remedy that can be taken under the tongue and also, a dropperful can be put into a sprizter bottle of about 4 oz purified water and sprayed into the air and you just breathe it in. It’s really great to use before heading out to the garden etc. Another thing that could be helpful is acidophilus for the gut flora so consider BioDoph 7 from Biotics which is a pre and pro biotic or have a look at the link to Dr. William’s Probiotic Advantage. Anything we suggest from Standard Process or Biotics must be ordered by phone (778-788-4325) or email as these companies require that their products are recommended by a doctor. The other products mentioned, can be ordered via the links on the side bar. 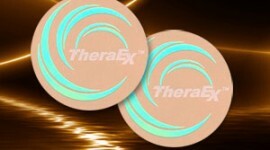 Another option is the Allergy TheraEx BioApps. Wear on the left upper arm and change every 3 days. http://www.bioappscanada.com for more info. Enter our FaceBook contest to win a bottle of Histoplex AB and HCl+…your basic allergy kit. Contest runs to the end of April 2013.